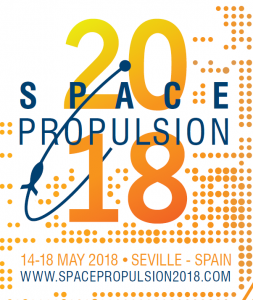 The Space Propulsion Conference 2018 (SP 2018) will be held during 14-18 May 2018 in Seville (Spain), and the EPIC PSA and most of the actors involved in the ongoing EP SRC Operational Grants will be present presenting papers with their latest developments. 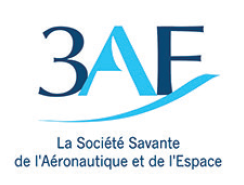 The Space Propulsion Conference is organized by the 3AF in close collaboration with ESA and CNES, and is recognized to be THE international forum supporting the preparation of future activities and roadmaps in all the fields of space propulsion. For more details visit the SP2018 webpage were the preliminary programe, calendar and practical information can be consulted. EPIC: SP2018-31 “Ongoing activities of the Strategic Research Cluster on Space Electric Propulsion (2017-2018)”. Other ongoing EP SRC Operational Grants will be at the conference presenting papers with their latest EP developments. MINOTOR: SP2018-490 “MINOTOR: Magnetic Nozzle Electron Cyclotron Resonance Thruster”. HIPERLOC-EP: SP2018-88 “Development of a High-Performance Low-Cost Electrospray Colloid Electric Propulsion System for Small Satellite applications”. The SP 2018 is a perfect dissemination event to present to the international space propulsion community the Electric Propulsion SRC activities and latest developments from all OGs partners; and it will be a great moment to strength the good collaboration and team spirit inside the SRC. The common objective is clear: Develop the European electric propulsion technology and its competitiveness and innovation, supported by the European Union in the frame of the Horizon 2020 Electric Propulsion SRC.